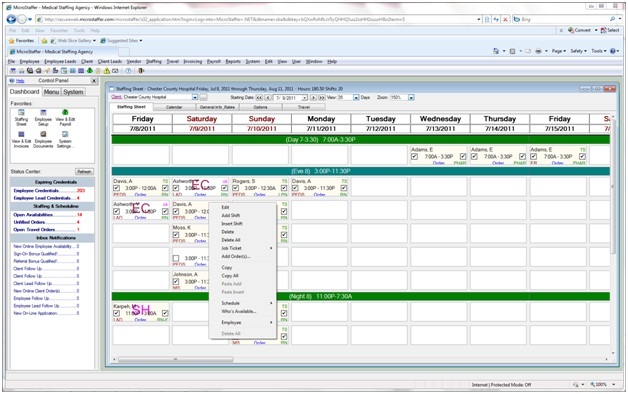 User freindly and intuitive staffing calendars are the core of MicroStaffer's scheduling component. Various point-and-click Staffing Calendars and Browsers. Copying and pasting, drag-and-drop of orders and shifts. Text messaing of sheduling chagnes and confirmations. 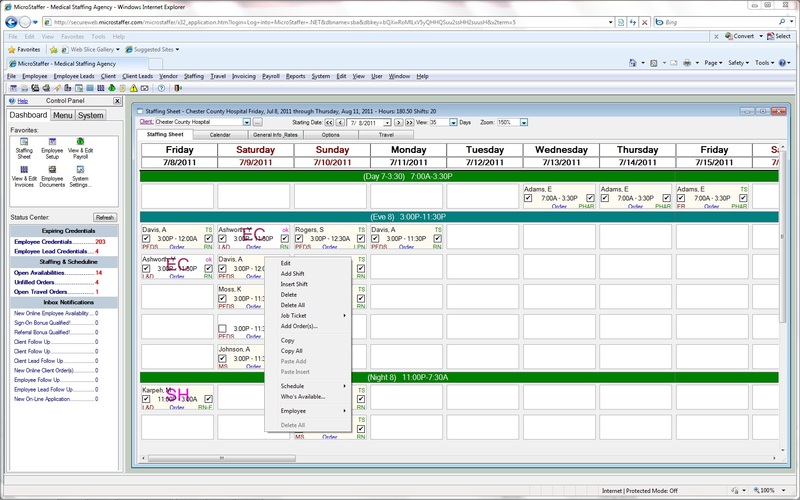 The MicroStaffer Scheduling Calendar view gives you a quick and complete overview of your schedule on a shift basis for that individual client. 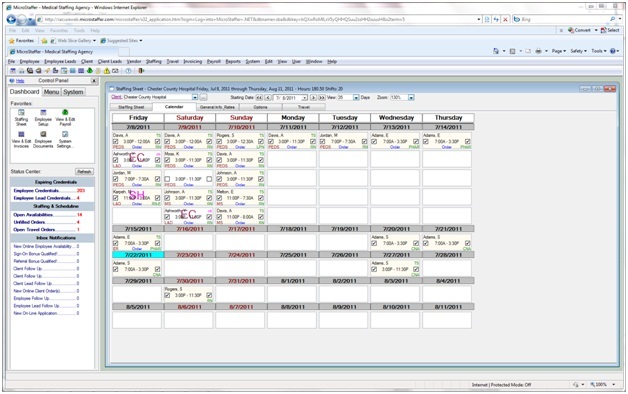 It offers drag and drop capabilities to streamline the scheduling process by simply clicking on an individuals name, and dragging them to another shift and date on the calendar!